The Africa Night dinner and dance at the residence of the Vice Chancellor, University of Dar es Salaam was in top gear as scholars, students, diplomats and other guests tucked into the barbecued chicken, potatoes, plantain and fish dinner amidst clinking of wine glasses. Laughter, light hearted jokes and merriment rented the air to the background of melodious music under the June starry night. And as the DJ later changed the disc to a popular song by Nigeria’s iconic musicians P-Square, an electrifying mood suddenly enveloped the night as some of the students at the function immediately took to the dance floor. Minutes later, lured by the insistent rumble of the percussions and sonorous voice, I soon found myself on the dance floor much to the students’ great delight. Before long, music, arguably the highest form of art, broke all kinds of barriers as scholars and students, diplomats and politicians, youngsters and the elderly danced the night away. 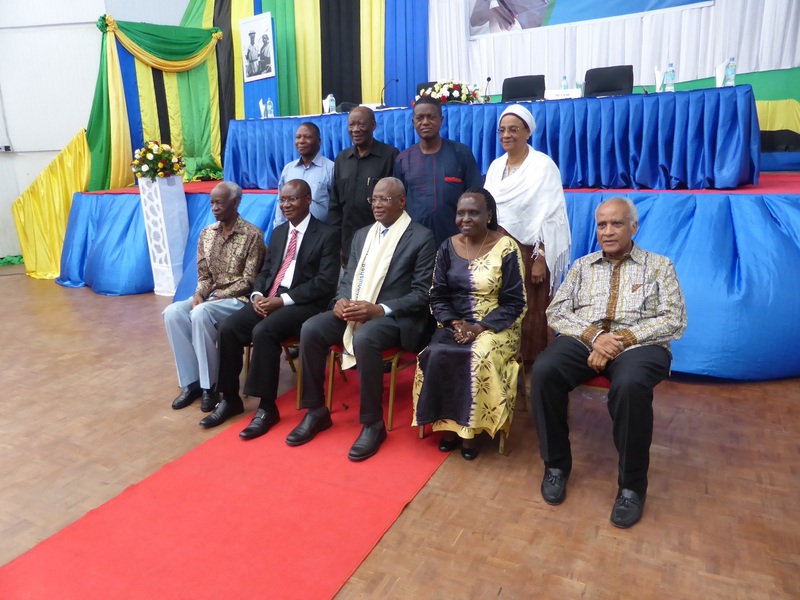 It was a befitting end to the three day Ninth Mwalimu Nyerere Intellectual Festival in the Tanzanian city of Dar es Salaam. I had come to Tanzania, the Swahili land on the invitation of the conference organisers to deliver a paper on the conference theme; “The Politician in the rise and fall of Africa.’’ The three day dialogue was expected to explore the quality and nature of politicians in Africa as well as the challenges this category of leaders are facing in the execution of their duties among other issues. The discourse was also expected to determine how the politician in Africa had contributed to the development or underdevelopment of African countries. 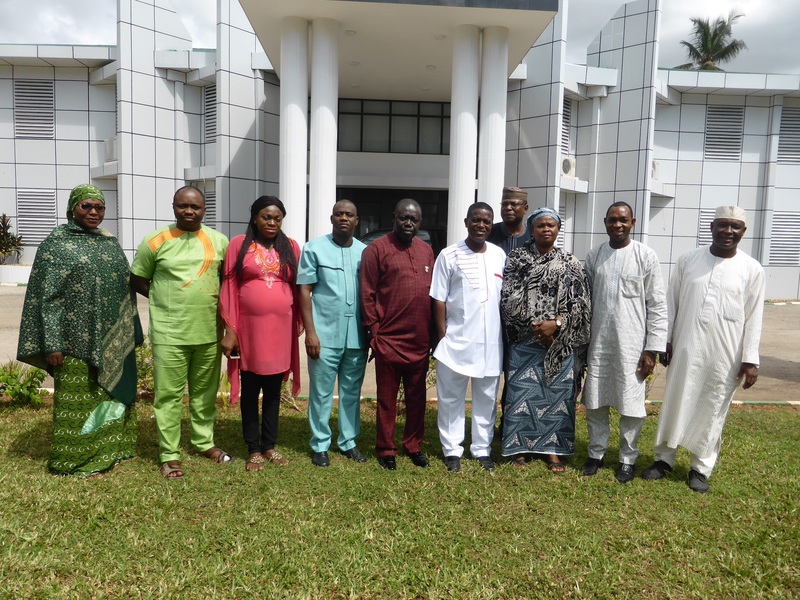 Wale Okediran with some conference participants. And so for three good days the conference was awash with erudite presentations from a diverse array of speakers made up of political scientists, human rights activists, gender experts, as well as former and serving Members of Parliaments. Speaker after speaker paid glowing tributes to the first Tanzanian President and the father of the Tanzanian nation, Julius Nyerere to whom the conference was dedicated. Expectedly, the politician was at the receiving end most of the time with many paper presenters inundating the audience with gory and unsavoury political scenarios allegedly perpetuated by African politicians as if the people themselves are innocent bystanders. It was indeed a difficult time to be referred to as a politician and one of my Tanzanian friends jokingly advised me not to introduce myself as a politician but as a writer and physician! Luckily, the audience seemed to agree with the focus of my presentation which was that politics is too important to be left alone in the hands of politicians, as such, the people have to be more responsive and responsible to politics and politicians. And unlike many conferences where the attendance and quality usually nose dive after the first day, the conference organisers deserve to be commended for packaging the conference in such a way that attendance, tempo and high quality were maintained throughout its three day duration. Dar es Salaam with a population of 4.36million is the commercial capital and largest city in Tanzania. It is situated in the east coast of the Indian Ocean. The original name of the city, I was told was Mzizima (tremble due to cold) but the city was renamed by its early Arab settlers as Dar es Salaam, ‘The City of Peace’. Although with about the same land size with Nigeria, Tanzania with just a population of about 56.9 million people is considered to be a generally laid back country without the hustle and bustle of Nigeria. A peaceful country with friendly people and well organised transport, health and educational systems, Tanzania without the glamour and sophistication of Nigeria, is like the black and white photographic version of its African brother state. Like Nigeria, Tanzania also has a relatively new capital city, the central city of Dodoma, to which remaining parts of the government are expected to relocate by the year 2017. Many Tanzanians are eagerly looking forward to the move to the new capital if anything else, to reduce the very high rent in Dar es Salaam. ‘’ Dar is very expensive for ordinary Tanzanians due to a high presence of diplomats and expatriates who have driven up house rent to as much as $3,000 per flat in some sections of the city’’ one Tanzanian writer remarked. With an exchange rate of about 2,200 Tanzanian shillings to a dollar, the cost of house rent in local currency can best be imagined. However, other daily needs such as food and transport are not that exorbitant. For a 30 minute ride in the Bajaj the Tanzanian tricycle which is the local equivalent of Nigeria’s Keke, I paid about 500 shillings while a ride for the same period of time in the ‘Dala Dala’ the Tanzanian equivalent of Nigeria’s ‘Molue’ was considerably less. Also like President Muhammadu Buhari of Nigeria, the current Tanzanian President, John Magufuli ‘The Bulldozer’ is also an anti- corruption czar. On my second day in Tanzania, screaming newspaper headlines announced the results of some of his many anti- corruption interventions. Commenting on the suspension of the CEO of EWURA, the country’s power generating firm, the Dar es Salaam based ‘The Citizen’ reported the suspension as a ‘Midnight Drama’. In its own report of the massive plundering of the country’s mineral wealth as revealed by a Presidential investigating committee, ‘The Guardian’ observed thus; ‘’Even The Devil Must Be Mocking Us’’. As The Guardian put it; ‘’ the second presidential probe committee has revealed industrial-scale plunder of mineral wealth from Tanzania to the tune of over 100trn shillings in unpaid tax revenue over 20 years.’’ Coming after several cost savings measures including the May 2017 sacking of the country’s Minister for Mines, Sospeter Muhongo over allegations of improper declaration of mining exports, it was obvious that Magufuli meant business. Expectedly, it is not all Tanzanians that are happy with the President’s style of government and some accuse Magufuli of human rights violations. As is my usual practice when visiting a foreign country, during the first week of my arrival in Tanzania, I paid a courtesy visit to the Nigerian Embassy located at No 13 Haile Selassie Road, Oysterbay by Collassium Hotel. On hand to receive me were Ambassador Salisu Umaru and his wonderful staff made up of five seasoned diplomats and three defence advisers. In his welcome remarks, Ambassador Umaru expressed his delight at my visit and promised to send a representative of the embassy to the conference. After heaping praises on the host country for what he called Tanzania’s love for peace, stability and good leadership, the ambassador observed that there are only 500 Nigerians made up of University lecturers and traders in the country. He also observed that most of the visa requirements from Tanzanians are for pilgrimage to Pastor T B Joshua’s church in Lagos. Wale with some staff of the Nigerian Embassy in Tanzania. I was later taken on an official tour of the highly impressive Embassy building as well as the official residences of the Embassy staff which were clustered around the embassy building. I was made to understand that the official residences as well as the Embassy building are fully owned by the Nigerian government. In view of the very high cost of rent in the city, Nigeria is said to be the only West African country with a fully functional Embassy in the country. I later went on a tour of Dar es Salaam, beginning with the National museum which was established in 1940. At the entrance to the museum was a cubicle containing an array of twisted and burnt steel. Above the cubicle was an inscription; IN MEMORY OF THOSE WHO DIED ON THE 7TH AUGUST 1998 BOMBING INCIDENT AT THE US EMBASSY IN DAR ES SALAAM. My guide informed me that the twelve people who died during the bombing incident were all Tanzanians who were visiting the Embassy at the time. Other artifacts and historical pictures in the museum include, evidence of the Majimaji war of 1905-1907, beds and gates from Kilwa from 1760 as well as the photograph of Dr Richard Hiddorf who established Sisal cultivation in East Africa. Also included was a very massive bed that was said to have belonged to a former Sheikh of Dar es Salaam. The bed was so big that the Sheikh was said to have needed the support of a slave to climb it! There were also photographs depicting the killing of many Zimbabweans through hanging -evidence to the resistance to the German rule of the 1700s- , the war against Uganda from 1977 to 1979 as well as evidence regarding the country’s struggle for Independence from 1961 to 1962. Also in the museum was the stuffed version of the lion that was presented to former President Julius Nyerere on his retirement from office in 1985. From the museum, Idi, the embassy driver drove me to the very congested central part of Dar es Salaam via the city’s main artery, the shop lined Samora Avenue. All the shops were bursting with merchandise which varied from textile, shoes, bags and electronics. Before long, we were in Kariakoo market with its heavy throng of shoppers preparing for the end of the Ramadan fasting. The crowd was so thick that movement whether vehicular or human was almost impossible. And as Idi manoeuvred the big SUV through the crowd, he honked and swerved with the dexterity of the veteran driver that he is. Once in a while, I had the sinking feeling that he was going to hit somebody but luckily, we completed our tour without any bad incident. Later in the evening, His Excellency Ambassador Salisu Umaru and his wonderful team from the Nigerian Embassy, hosted me to a dinner at a posh Chinese restaurant in the highbrow Oysterbay area of the city. Actually, my most memorable stay in Tanzania was at the coastal town of Bagamoyo, a distance of about 65 kilometres north of Dar es Salaam. A town of wonderful beaches, palms and ancient history, Bagamoyo is said to mean, ‘’Here I lay down my heart’’ an expression of the despair of slaves brought from the hinterland as they reached the town and for the first time, saw the sea, which must have symbolized the end of all their hopes. The road to Bagamoyo from Dar is a well laid highway running through several towns and communities with such delectable names as Kawe, Mizimuni, White Sands, Kunduchi, Sala Sala, and Bunju among others. The evidence of a developing landscape was all around with new buildings, towns and access roads sprouting like newly planted corns on a farm. In the far distance, a hovering mist above the early morning sun gave a magical appearance to a handsome but winningly humble country. To protect the small towns from reckless drivers, the speed limit in the towns was 50km/hour. In addition to the speed limits were warning signs in Kiswahili, the official language of Tanzania: as ‘Nenda Pole Pole’ (Go slowly). To effect the traffic regulations were the ubiquitous ‘askaris’ (policemen) in their immaculate white uniforms at every strategic spot on the way. As the SUV that conveyed me from Dar glided through the early morning traffic, the vegetation soon changed from the leafy foliage of the south to the swampy fields and sparse vegetation of the north. Soon, the tightly packed buildings of the city centre gave way to suburban scattered buildings. Before long, we were in Bagamoyo where ‘I rested my heart’ and encountered the salty and warm Indian Ocean whose rhythmic and booming waves lulled me to sleep every night. It is easy to fall in love with Bagamoyo with her famous ruins and lovely white beaches that run along the wide blue waters of the wave tossed Indian Ocean. At night, in the distant glow of the moon, it is easy to see fishing boats scattered on the sea like black butterflies in an Apple Yard as fishermen go for their nightly duties. Once in a while the echoes of their voices and nocturnal activities come to me in my vantage position not far from the beach. Sometimes I stayed up far into the night just to watch the boats as they roamed about the fathomless sea without a care for the giant waves, heavy rains and occasional storms that are usually their lot. To see the fishing boats out in the sea with their sails bellowed by the wind under the full glow of the midnight moon was one of the most moving experiences during my trip. 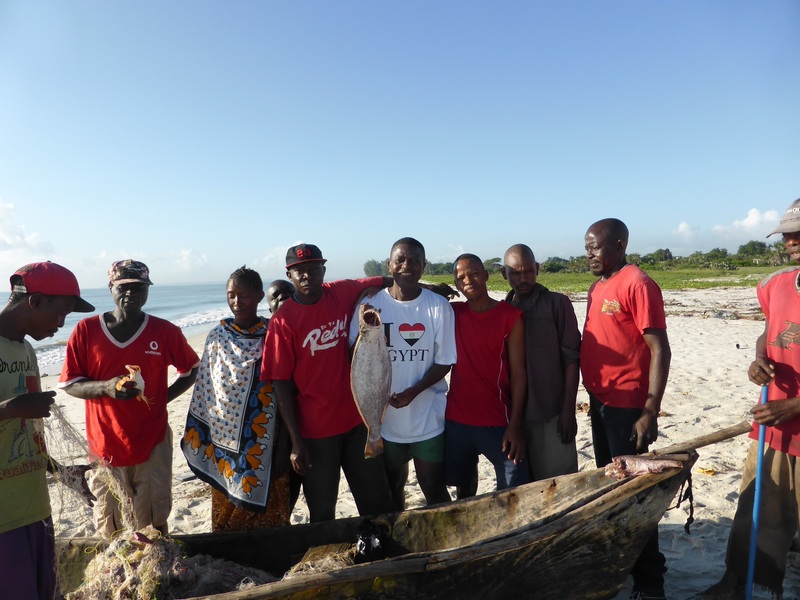 Wale with fishermen at Mbezi Beach. The fishermen prefer to work all night and bring in their catch in time for the Fish Market the following day,’’ a Tanzanian friend informed me. Out of excitement therefore, I was up by four o’clock the following morning to watch the fishing boats as they made their way back to shore. Moments later, in the light of day break, I was at the beach to welcome the heavily laden boats. Their catch was awesome; sardines, lobsters, Kingfish, Rock Cod, Red and Blue Snapper as well as prawns and squids. I soon made friends with the fishermen and was allowed to pose for photographs with a lovely looking Star Fish. The following day, I made a quick tour of the town especially the old part of the town with its narrow streets, hotels and guest houses. I also visited the ruins of the first stone building said to have been built by the first prominent Arab settler in Bagamoyo, Abdallah Selemani Marhabi. The building which was originally designed as his personal residence has changed hands in the past two centuries from the Arab to the Germans, then to the British and is now in the hands of the Tanzanian Government. From a personal residence to a slave camp, the building has also been used as a prison, government official residence and as a police post. Today, it stands in ruins. Also visited were the Arab Tea House, the District Hospital, ruins of the German Customs House, the New Church as well as the Cenotaph to commemorate the landing of the first Christian missionary to East Africa. On my way back to my residence, I stopped over at the local market where I made purchases of the local fabric, Kanga and some souvenirs. At the fish market despite my difficulty in understanding Kiswahili, I was still able to bargain for two Tilapia fishes for 15,000 shillings. My trip was so enjoyable that the days quickly flashed by. On my last day in Tanzania,I made my way to the beach in Bagamoyo. The morning was warm and clear, the sky blue, so also was the ocean. Even at that early hour, the beach was already active with joggers, swimmers, lovers and singers and fishermen and traders. Sitting round an abandoned old boat, some fishermen were resting while others were repairing their fishing nets in preparation for another nocturnal trip. On a stretch of the long white sand, a group of boys were playing soccer. Their ball strayed to where I was sitting listening to the ocean. I picked it, tossed it and kicked it back with an old instep I learnt several years ago. The ball flew into the air in the direction of the boys. I returned to my solitude, watching a large trawler from Zanzibar discharging its cargo of gallons of ‘Oki’ vegetable oil. All around me, Kiswahili floated in the air as labourers waist deep in the shallow water shouted and swam herding hundreds of the floating gallons to the beach. A young man approached me; he wanted me to buy some paintings. I politely declined. Another one came, a photographer. I posed with the fishermen and the labourers, my feet in the warm, salty Indian Ocean smiling faintly, knowing fully well that my time was up. I had come to the end of my holiday, the first in ten years and I was feeling sad. In a few hours time, I would begin my long journey back home via Dar es Salaam and Addis Ababa. Very reluctantly, I said farewell to the ocean and its visitors then walked back from the beach to prepare for my journey back to Abuja. Wale Okediran attended the then University of Ife (now Obafemi Awolowo University, Ile-Ife) where he qualified in April 1980 as a Medical doctor. 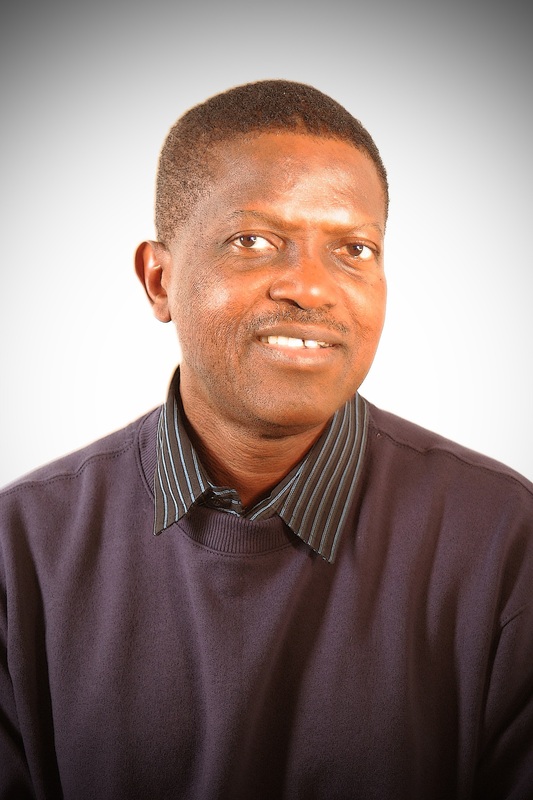 He was a Member of the House of Representatives, Abuja, Nigeria from 2004 to 2007 and the National President, Association of Nigerian Authors from 2005 to 2008. His writing career started way back in his secondary school where he was an active member of the school’s press club and debating society. At the University of Ife, he edited a campus newspaper, Rip Off”. He has published till date twelve novels out of which nine are adult fiction and three are for children. Many of the books are on the reading lists of several Nigerian Universities such as the University of Lagos, University of Ibadan, University of Agriculture Abeokuta, Nnamdi Azikiwe University, Awka, Ahmadu Bello University Zaria, Nasarawa State University and University of Maiduguri among others. In June 2010, together with a few friends, he established the first Writers Resort in Nigeria ;The Ebedi International Writers Resort in Iseyin, Oyo State, Nigeria.